Create. Innovate. Communicate. With Confidence and Security. The trick to innovation is to widen your perspective! 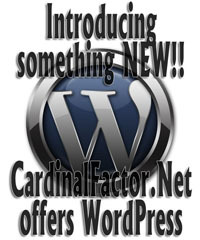 Begin with the fantastic hosting resources and support services offered by CardinalFactor.Net. Since 2001, we've been the ISP backbone for individuals, small and large businesses. 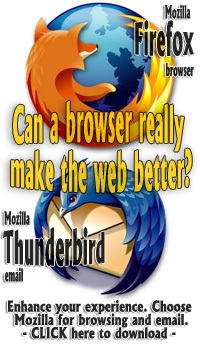 CardinalFactor.Net recommends the Mozilla Firefox browser and Thunderbird email applicaton. Researchers found 637 million browser users at risk. Click here to visit TechWorld.com news. 28 August 2015. © 2001 - 2016 CardinalFactor.Net. All Rights Reserved.